With exactly two minutes left on the clock, Hassan Azri made the move that would define the tense, taut, error-ridden thriller that India dished out against Malaysia in the Asian Games men’s semi-final. India led 2-1. When the clock winds down, seconds ticking away with one team leading by the slender margin of a goal and a final beckoning touching distance away, certain areas start shutting down in an athlete. Gone is the focus as mentally without looking at the clock, you start believing that time is on your side. It wasn’t on Malaysia’s side either. The only difference was Malaysia were aware of the surroundings; their players understood in those last seconds that they had only one card left to play — somehow control the ball and create mayhem in the Indian striking circle. Through a majority of the four quarters, Malaysia had realised that the weakest link in the Indian line-up, on that day, was the defence. Luck is a key ingredient. However, in games that usually go down to the wire, you create your own luck, and Malaysia did. Azri softly brought down the aerial from the right flank, a brilliant move as India had grouped together in the circle; a more outstretched Indian defence could have caught on faster to what the Malaysians were thinking. By the time, a panicky Indian defence with blood pounding in their heads realised and closed rank, they were in fact creating a perfect melee for a penalty corner. One minute and 47 seconds remained when the umpire blew for a penalty corner; Malaysia’s sixth. Muhammad Rahim Razie’s flick was low, slow on pace but it did the trick. Sreejesh went the right way but the ball snapped the pad and slid in. In 2010 at the Guangzhou Asian Games, Razie was the man who scored in extra-time. Eight years later, he did it again. Harendra, now the chief coach, was the assistant to Jose Brasa then. Bharat Chettri, now India’s goalkeeping coach was the team goalkeeper at the 2010 Asian Games. Yet India could have pulled it off in the shoot-out. Manpreet Singh being penalised for obstructing the Malaysian goalkeeper on the first stroke was perplexing as a player usually has his back to the goalkeeper to shield the ball. Yet the referral went Malaysia’s way. That kind of set the tone. Despite Indian captain Sreejesh’s heroics in saving three strokes, SV Sunil missing twice was a gap too much. Post-mortems would be the order now. And rightfully they should be done. 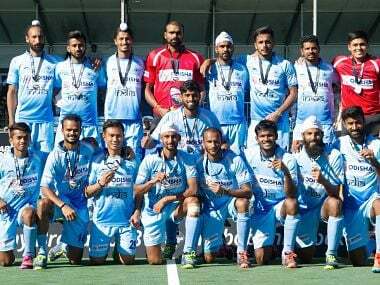 After the Champions Trophy, India were the favourite to win the Asian Games gold and in the run-up to the semi-final, they showed that. Except Japan, they didn’t play big teams and even Japan, a finalist now, was thrashed by India 8-0, in what was their best all-round display in the tournament. After scoring 76 goals in five matches, India should have played naturally and more freely. However, with no fluidity and to an extent, flexibility in their thinking, India played shoddy hockey. There was unusual hurry in their ranks as if the team had only a quarter to win the match. It was only in the end of the second quarter that India showed their quality in ball rotation, patiently waiting for openings. At times, they sparkled but largely, they appeared flat-footed and played with such heaviness that movements seemed robotic. India’s play lacked freedom and they appeared shackled, weighed down by the pressure of the semi-final. It’s surprising because it’s the same team that played the Champions Trophy final and displayed sustained aggression, especially going all-out in the fourth quarter. To blame an individual or a group would be simple. It has happened in the past and will happen again. In a match of such proportions, small things count; a flick here, a tap there. Patience matters a lot too. Malaysia knew very well they were against a superior team. Before the match, Malaysian coach Stephen Van Huizen had made it clear that India were the favourites. “But we will try and keep the scores down so that we can come back into the match.” Malaysia realised that giving India space means getting killed. “We have seen what happened in the Japan game,” reminded Stephen. Van Huizen’s boys played a tight defence, replying only on the counters. And that paid dividends. India came into the match thinking another win was routine. The first PC for India was in the very first minute but Malaysian goalkeeper, the veteran Kumar Subramiam, playing his 303rd international match, blocked perfectly what seemed a well-executed flick by Rupinder Pal Singh. The initial attacks raised expectations that India had come in to finish the job. But as seen in the past, play became predictive, the defence sloppy while the forwards failed to create positions in the striking circle. Seen as a whole, it was a team meltdown. They failed to address the issues, control the game and paid the price. Discipline was an issue with Sardar and Surender taking yellow cards with the team down to nine in the fourth quarter. Good teams raise their level or hunker down and play resilient hockey, eking out wins, even if it’s ugly. For teams like India, who play on speed and skills, every match cannot be won displaying flamboyance. Determination is just one aspect of a team. Against Malaysia, it became the key factor. When the first quarter ended, alarm bells should have rung for India. The opening quarter was full of drama, missed chances and some wonderful goalkeeping from Malaysia’s Kumar. India had blown four PCs away while Malaysia 3. Finally when Harmanpreet got the opening goal in the 32nd minute, third Quarter, India should have retreated, not into defence, but possession hockey with extreme zonal markings. It was a day when fluency was difficult so rotation gets easier with defenders not always up but safely holding the zone between the midfield and the Indian striking circle. That didn’t happen. In the 38th minute, Malaysia counter-attacked after an unsuccessful Indian PC. Caught with no defenders at the back, the hit was perfect, ball bouncing off Sreejesh’s pads as Faizal Saari standing next to him lowered his stick to deflect it in. Even if the goal was fortuitous, the move was brilliant, fully deserving of a goal. But a minute later, off a counter, India had their eighth PC. Harmanpreet sold the perfect dummy, Varun Kumar slotting it in. India led 2-1. Yet they didn’t bring in the required control. Turn-overs happened, pressure increased. Sardar ran into a Malaysian and promptly got the yellow card. Later Surender got one too and India were down to nine men for five minutes. Momentum swung back to Malaysia. They smashed a penalty corner against the cross bar. In the last two minutes, flanks should have been covered. It’s always easier to counter a move down the middle than try to stop a speeding player coming in from the flank, inside the circle. Malaysia took off the goalkeeper, last ditch effort for one last big push. India looked at the clock but not the play as Razie utilised the final PC for the equaliser that set into motion one of India’s worst defeats in the Asian Games. This will probably hurt more than Guangzhou.